Today is a different sort of post. I'm not talking about beauty products, makeup or clothes, but rather a product that makes you feel good on the inside. Aduna is an Africa inspired premium health and beauty brand which I had never heard about until a few months ago when the founder, Andrew Hunt introduced me to the brand. I have really enjoyed using this pulp powder so wanted to share it with you all. I have also heard that Vivienne Westwood is a fan! I used to be sceptical about taking supplements and powders as I never really felt that they made much of a difference. However, lately I've really tried to change the way I eat and add various natural supplements to my diet. Even if I do not necessarily feel a change, I know that it is working on the inside. 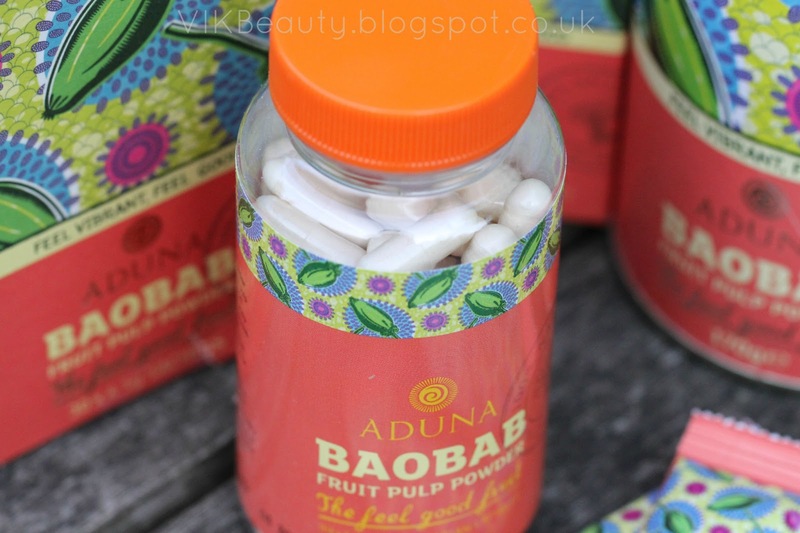 Aduna Boabab Fruit Pulp Powder contains Baobab, an African "super fruit" also referred to as "the feel good fruit". 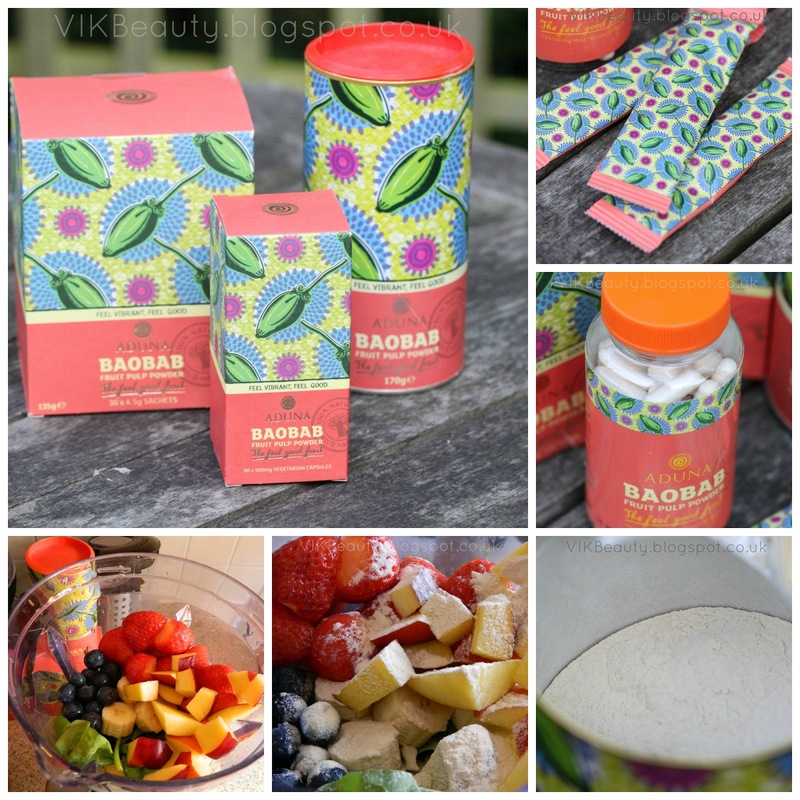 Baobab is 100% natural. It dries naturally on the branch and then it is harvested and then sieved. It is a "nutrient-dense, raw wholefood" and contains one of the highest antioxidant capacities of any fruit in the world. It's a great source of vitamin C, calcium, potassium and contains more than 50% fibre. Now after that barrage of information, I'm sure you're wondering if I felt any different? Please read on! As you will see from the pictures below, the fruit pulp powder can be purchased in a number of forms which just makes it more convenient to use depending on your preference. It can be used in many ways; in smoothies, over cereals, baking and yoghurts. To find out more ways of how you can use it, click here. £24.99 for 30 x 4.5g stick packs. 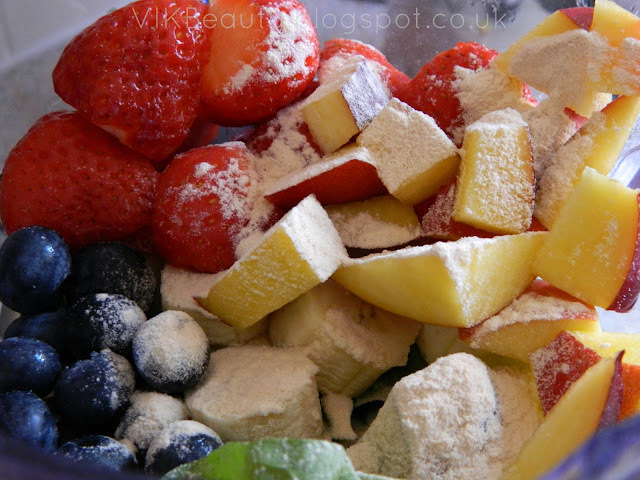 I have been using the loose powder in the spinach & fruit smoothies I make each morning. I usually add 3 teaspoons and blend it all together. I also add it to my cereal or porridge. 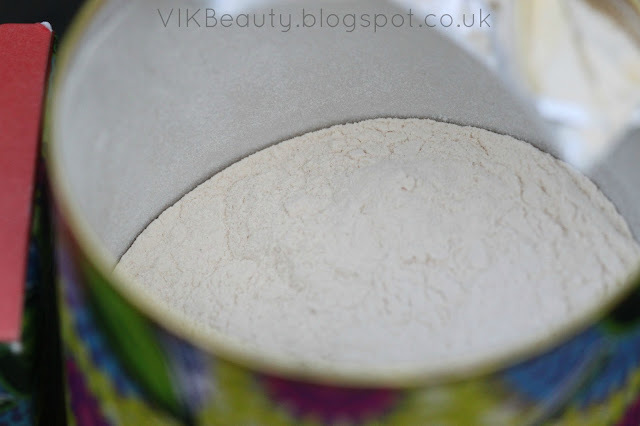 When combined with smoothies, yoghurts or porridge for example, you can't taste the powder. Although when I taste it on it's own, I think it has a slight citrus chalky taste which I don't mind at all. I've been using this pulp powder for a few months now and the area where I have noticed the most difference, is in my digestive health. I know it may be regarded as too much information, but that has always been a recurring issue for me. As the powder contains 50% fibre, it has really regulated my bowels. Can't believe I just told you that. Oh well, it's all about honesty on this blog. 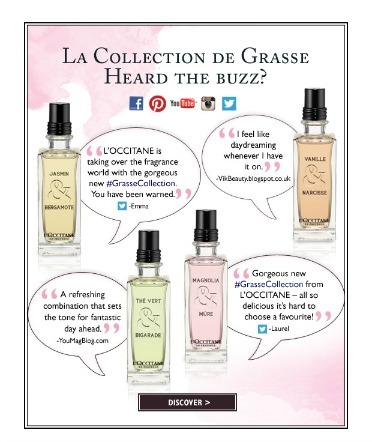 I think on the whole, I have just generally felt good since I began using this product. My skin is also brighter and more awake. 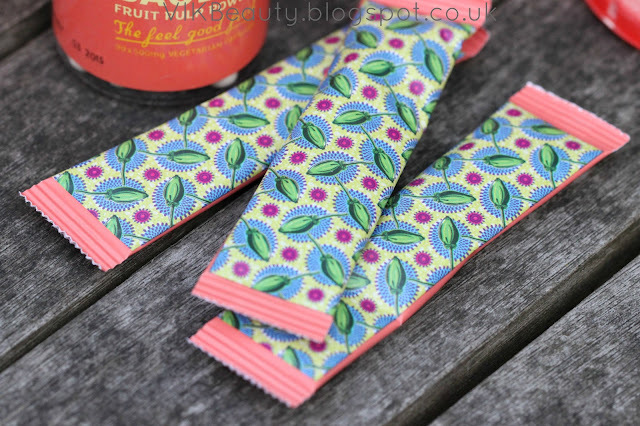 As mentioned above, I've really enjoyed using it and it has definitely become part of my daily regime. You can purchase Aduna Baobab Fruit Pulp Powder on the Aduna website (link above), Liberty Of London, Planet Organic, Wholefoods and a number of other independent health shops. I would definitely recommend having a read through the Aduna website as it also gives you a brackground into the brand and more information about the health benefits. 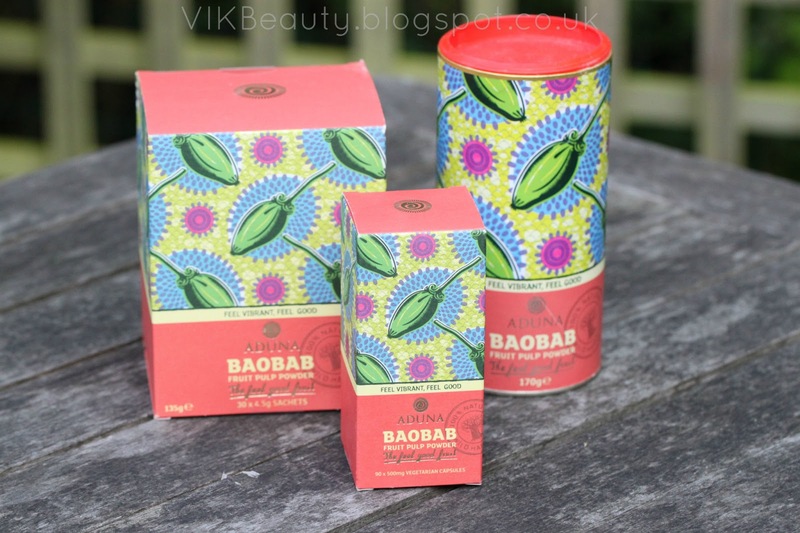 What do you think about Aduna Baobab? Is it something you would be interested in trying? 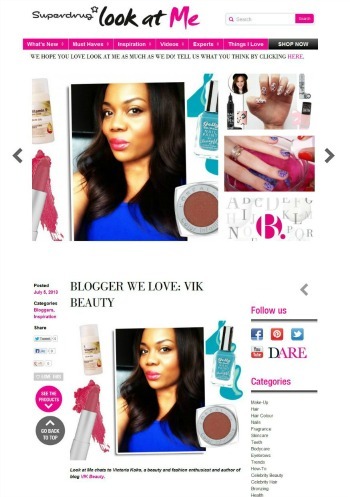 Don't forget you can follow me on twitter, bloglovin, facebook & instagram!